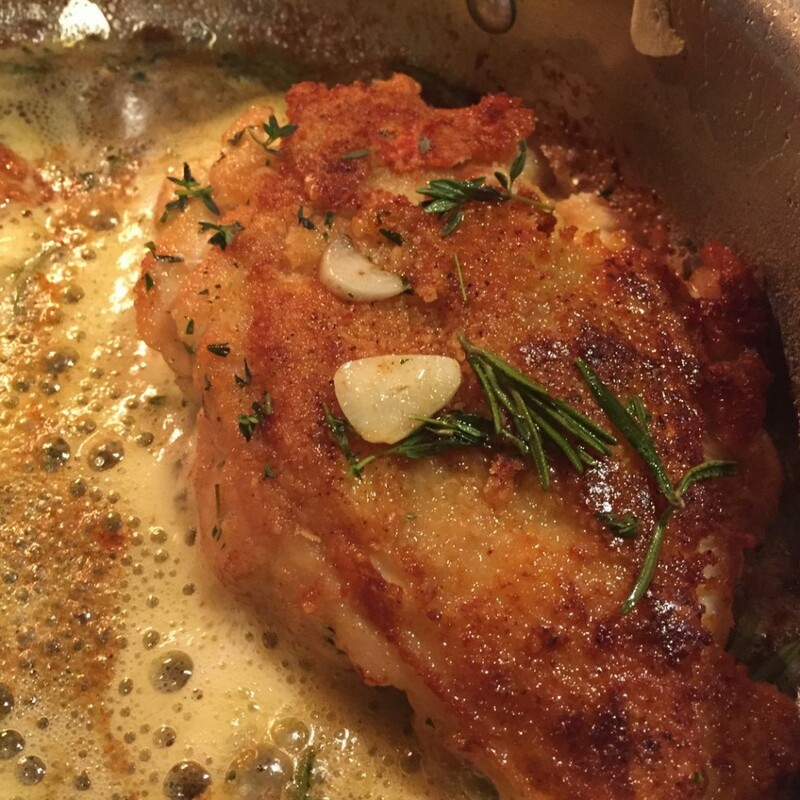 I’ve made a few recipes from Geoffrey Zakarian’s My Perfect Pantry, and it’s a great book. 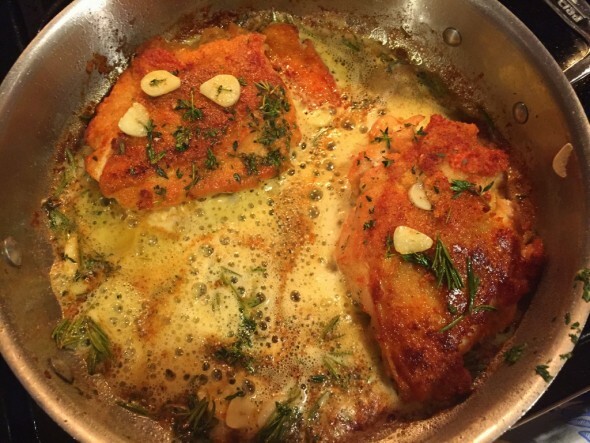 I made this one quite a while ago and never posted it, but it was crispy and delicious and straightforward to master with this recipe. And I haven’t had breakfast yet, so now I’m really hungry. Zakarian says in his book that he makes this almost every day for lunch in his restaurant. I halved the recipe and only made 2 pieces of chicken, the measurements were really simple and easy to halve. Preheat the oven to 400. 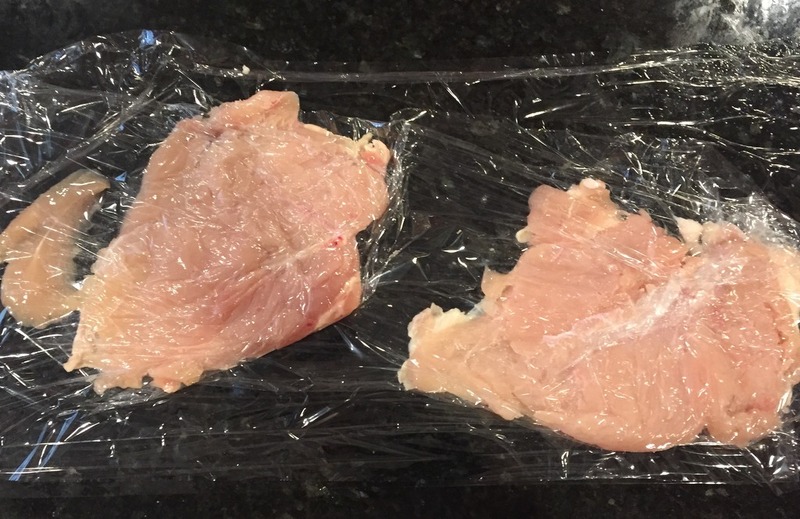 One at a time, put each chicken breast into a plastic wrap sandwich, and pound it with a meat mallet until it’s 1/2″-3/4″ evenly all around. Season with salt. 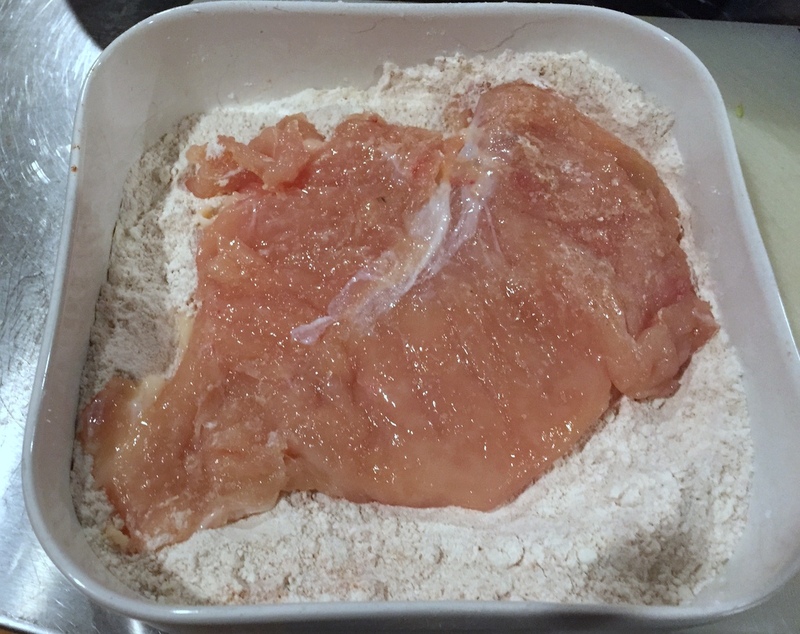 In a baking dish combine the flour, paprika, garlic powder, and onion powder and season with salt. Dredge the skin side of the chicken in the flour mix. Heat a large, oven-proof skillet over medium-high heat. 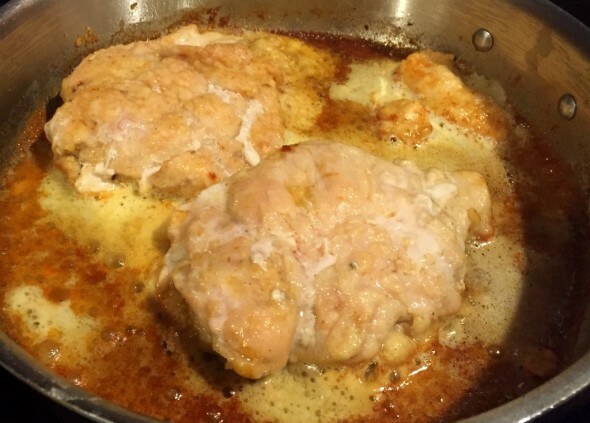 The original recipe says that if the breasts are too big you may need to use two skillets and divide the ingredients evenly. 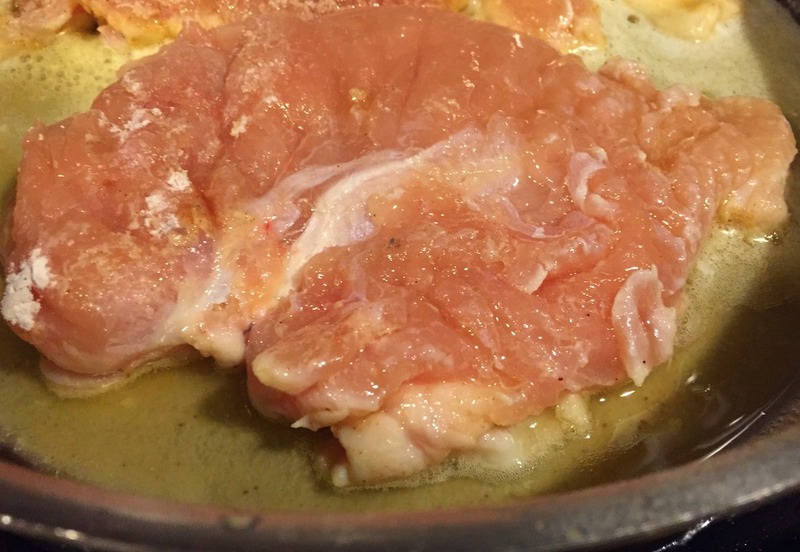 Add enough oil to film the bottom of the pan, and when it just begins to smoke slightly add the dredged chicken, skin side down. Transfer the chicken to the oven (in the same pan) and cook until the skin is very brown and crispy. About 5 minutes. 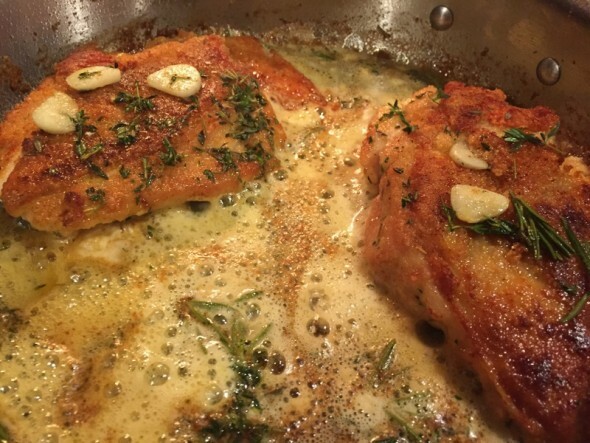 Remove from the oven, flip the skin side up, and add the thyme, butter, rosemary, and garlic. 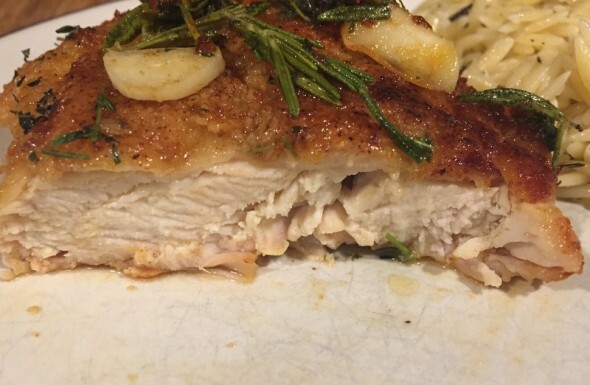 Return to the oven and cook until the chicken is just cooked through (about 3 minutes). 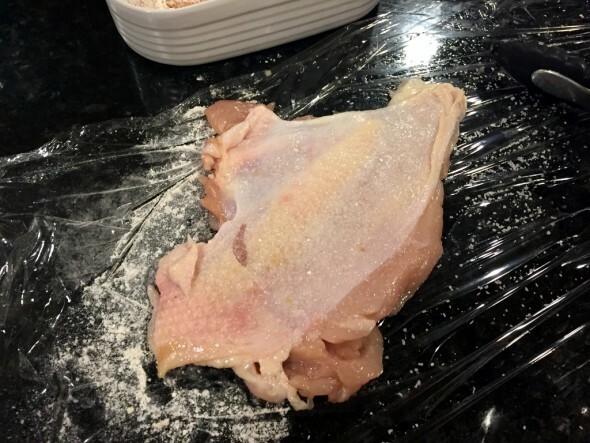 Drain the chicken briefly on paper towels before serving hot.